When picking out the perfect steaks, it is important to Know Your Grades. The higher the grade, the more tender and tasty. The lower the grade, the leaner and tougher. USDA Prime - is the top grade, in terms of flavor, marbling and tenderness. Very little Prime ends up in mainstream markets, primarily because of the high price. USDA Choice - is the second highest grade. It has less fat marbling than Prime. 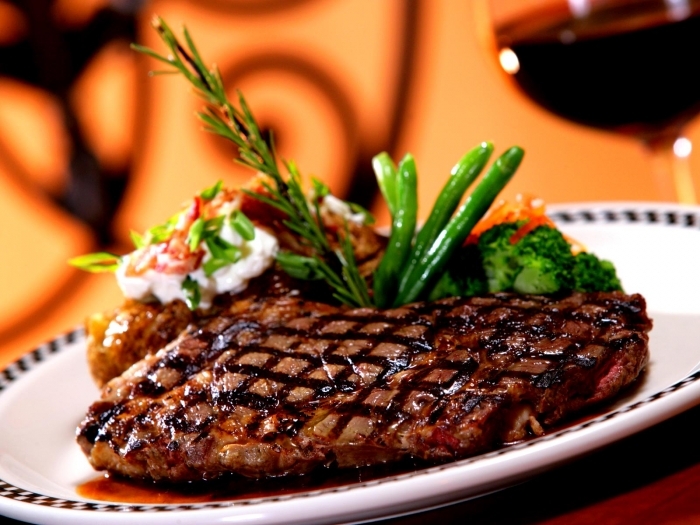 Choice is a high quality cut steak especially in terms of taste and tenderness. We consider Choice to be the best as it has great taste, tenderness and price. We use only Choice or higher at Club House Market. USDA Select - comes third. While there is some marbling, it is not nearly as tender as Choice grades of beef. Select graded beef is perfect for slow cooked meals such as roast beef or brisket. Keep in mind that grading is voluntary. All meat must be inspected for wholesomeness by the U.S. Department of Agriculture before it's sold, but grading for quality is done at the request -- and cost -- of the packer. Because grade dictates price, many packers pay for it to be done. Beef can be sold ungraded as No Roll. For our first time website customers, we are happy to provide you with a 10% discount on your first order by applying the coupon code NEWBIE10 at the time of checkout. Gotta follow us on Twitter and Facebook. Do it. Do it now.